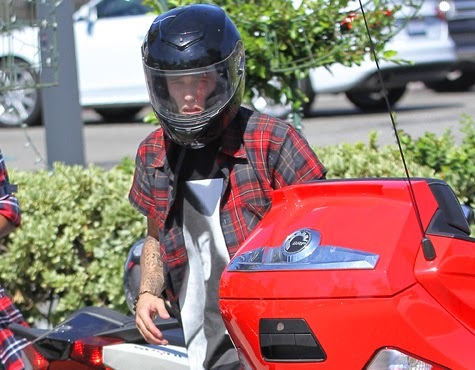 Justin Bieber has been charged with dangerous driving and assault after he crashed his quad bike into a paparazzo’s minivan and got into a punch up. According to TMZ, Biebs was with Selena Gomez when the incident happened Friday afternoon near his dad’s home in Stratford in southwest Ontario, Canada. He will appear in court on September 29. The 20-year-old singer recently pleaded guilty to careless driving and resisting arrest in Miami Beach. He’s also charged in Toronto with assaulting a limo driver in late December and is currently on probation for two years after he egged his neighbour’s house in Los Angeles – and it’s possible this most recent arrest could trigger a violation.